A pivotal moment: What you consider tinkering is actually research-paper-worthy science. Here are some images from the Chief Engineer’s workbench. The implementation of this design is documented here (a German post whose charm would be lost in translation unless I wanted to create Internet Poetry). But I also started up my time machine – in order to find traces of my polyhedra research in the early 1980s. From photos and drawings of the three-dimensional crystals in mineralogy books I figured out how to draw two-dimensional maps of maximally connected surface areas. I cut out the map, and glued together the remaining free edges. Today I would be made redundant by Origami AI. I filled several shelves with polyhedra of increasing number of faces, starting with a tetrahedron and culminating with this rhombicosidodecahedron. If I recall correctly, I cheated a bit with this one and created some of the pyramids as completely separate items. I think this was a rather standard hobby for the typical nerdy child, among things like growing crystals from solutions of toxic chemicals, building a makeshift rotatable telescope tripod from scraps, or verifying the laws of optics using prisms and lenses from ancient dismantled devices. The actually interesting thing is that this photo is the only trace of any of these hobbies. In many years after creating this stuff – and destroying it again – I never thought about documenting it. Until today. It seems we weren’t into sharing these days. This year ice in the tank was finally melted between March 5 to March 10 – as ‘visual inspection’ showed. Level sensor Mr. Bubble was confused during the melting phase; thus it was an interesting exercise to compare simulations to measurements. Simulations use the measured ambient temperature and solar radiation as an input, data points are taken every minute. Air temperature determines the heating energy needed by the house: Simulated heat load is increasing linearly until a maximum ‘cut off’ temperature. The control logic of the real controller (UVR1611 / UVR16x2) is mirrored in the simulation: The controller’s heating curve determines the set temperature for the heating water, and it switches the virtual 3-way valves: Diverting heating water either to the hygienic storage or the buffer tank for space heating, and including the collector in the brine circuit if air temperature is high enough compared to brine temperature. 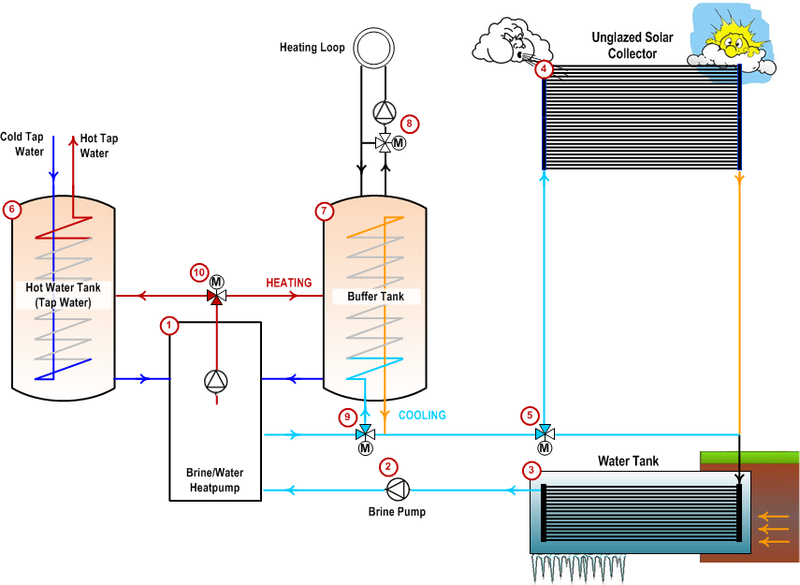 In the brine circuit, three heat exchangers are connected in series: Three temperatures at different points are determined self-consistently from three equations that use underground tank temperature, air temperature, and the heat pump evaporator’s power as input parameters. The Coefficient of Performance of the heat pump, its heating power, and its electrical input power are determined by heating water temperature and brine temperature – from polynomial fit curves to vendors’ data sheet. So for every minute, the temperatures of tanks – hot and cold – and the volume of ice can be calculated from energy balances. The heating circuits and tap water consume energy, the heat pump delivers energy. The heat exchanger in the tank releases energy or harvests energy, and the collector exchanges energy with the environment. The heat flow between tank and ground is calculated by numerically solving the Heat Equation, using the nearly constant temperature in about 10 meters depth as a boundary condition. For validating the simulation and for fine-tuning input parameters – like the thermal properties of ground or the building – I cross-check calculated versus measured daily / monthly energies and average temperatures. When there is only a bit of ice yet (small peak in December), tank temperature is underestimated: In reality, the density anomaly of water causes a zone of 4°C at the bottom, below the ice. When the ice block is more massive (end of January), I overestimate brine temperature as ice has less than 0°C, at least intermittently when the heat pump is turned on. Thus the temperature difference between ambient air and brine is underestimated, and so is the simulated energy harvested from the collector – and more energy needs to be provided by freezing water. However, a difference in volume of less than 10% is uncritical for system’s sizing, especially if you err on the size of caution. Temperature gradients in ice and convection in water should be less critical if heat exchanger tubes traverse the volume of tank evenly – our prime design principle. … for the coil, the total heat transfer (UA), accounting for the growing ice surface, shows only a small decrease with growing ice thickness. The heat transfer resistance of the growing ice layer is partially compensated by the increased heat transfer area around the coil. In the case of the flat plate, on the contrary, also the UA-value decreases rapidly with growing ice thickness. For system’s configuration data see the last chapter of this documentation. Mr. Bubble Was Confused. A Cliffhanger. This year we experienced a record-breaking January in Austria – the coldest since 30 years. Our heat pump system produced 14m3 of ice in the underground tank. The challenge was to measure small changes in level as 1 mm corresponds to about 0,15 m3 of ice. Mr. Bubble is fine and sane, as long as ice is growing monotonously: Ice grows from the heat exchanger tubes into the water. The heat exchanger does not float due to buoyancy, as it is attached to the supporting construction. The design makes sure that not-yet-frozen water can always ‘escape’ to higher levels to make room for growing ice. Finally Mr. Bubble lives inside a hollow cylinder of water inside a block of ice. As long as all the ice is covered by water, Mr. Bubble’s calculation is correct. When ice is melted, the surface level inside the hollow cylinder drops quickly as the diameter of the cylinder is much smaller than the width of the tank. So the alleged volume of ice perceived by Mr. Bubble seems to drop extremely fast and out of proportion: 1m3 of ice is equivalent to 93kWh of energy – the energy our heat pump would need on an extremely cold day. On an ice melting day, the heat pump needs much less, so a drop of more than 1m3 per day is an artefact. As long as there are ice castles on the surface, Mr. Bubble keeps underestimating the volume of ice. When it gets colder, ice grows again, and its growth is then overestimated via the same effect. Mr. Bubble amplifies the oscillations in growing and shrinking of ice. Only when finally all ice has been melted – slowly and via thermal contact with air – then the water level is back to normal. So how can we picture the true evolution of ice during melting? I am simulating the volume of ice, based on our measurements of air temperature. To be detailed in a future post – this is my cliffhanger! One of the most recent search terms on this blog was: ‘cistern for water source heat pump’. I wanted to double-check and searched for this phrase myself. … a research paper that had been available for download at the website of Iowa Energy Center at iowaenergycenter.org/wp-content/uploads/2017/02/94S-01_Van-Gaalen-Final-Report.pdf [*]. A considerable amount of research has been done regarding ground loop heat pump systems which are underground piping networks that extract heat from or dissipate heat to the ground and are coupled with a ground-source heat pump to greatly increase efficiencies for the heating and cooling cycles of the heat pump. The high costs incurred by home owners for installation of such a system is currently a deterrent to their implementation. 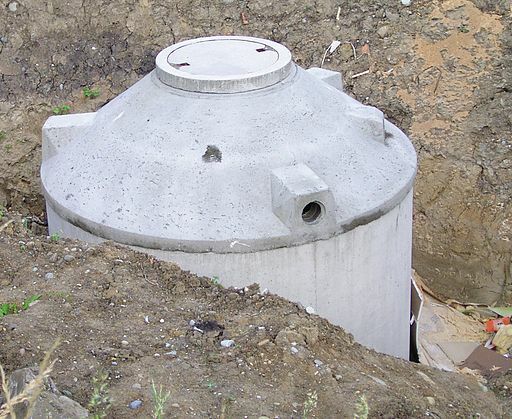 This paper explores the feasibility of utilizing a submerged concrete water storage vessel, known as a cistern, as a cost effective alternative for storing and transferring geothermal energy for ground-source heat pump systems. This work was been done as early as in 1993! The authors did theoretical modelling of the expected heat transfer, built a prototype connected to a home, and monitored performance for some weeks. They built a working prototype which resembles our heat pump system in some aspects – but there is one essential difference: They did not use a solar / air collector as they considered its contribution not essential. Experiments were done in spring, and future performance monitoring for a whole season had been announced in the paper. But the document was called a final report – so I assume the follow-up project had not been started. 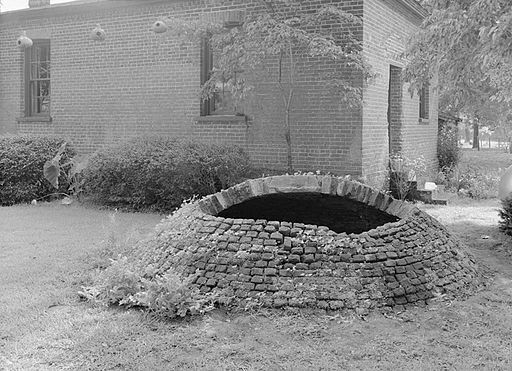 Re-use existing infrastructure: Thousands of cisterns in the midwestern sector of the United States were built about 100 years ago. They were abandoned when home owners got access to running water. It seems that most of these vessels are still in good shape if filled with water all the time. Untapped potential! We have re-purposed our useless root cellar, and we work with clients who want to re-use cesspits or cisterns. 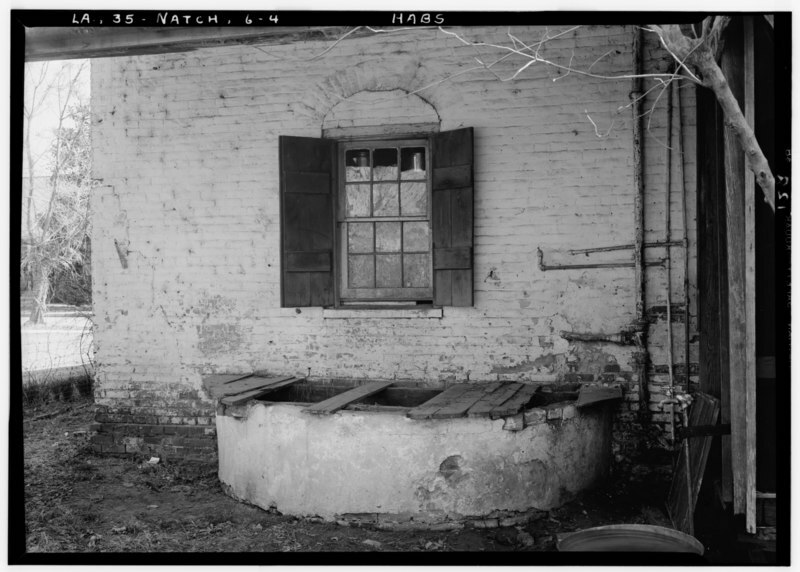 Here is an American home owner’s photo story on her slightly creepy cistern, and from this article I learned those cisterns are often located under the porch – exactly the idea we have come up with when thinking about heat sources. DIY approach: Adams et al. provide a detailed information on prices and services required and they suggest that home owners could install it themselves. Re-purposing an existing vessel is more economic than building any of the standard heat sources – slinky-type ground source collectors, boreholes, or ground-water wells. This is still true today. The authors said they had already several requests from local home owners who were interested in installing a pilot system. The pilot home’s floor space was about 60 m2 (640 ft2). The research paper includes a detailed home energy audit, similar to the one home owners need to provide when building or selling a house today in Austria. The design heating load – calculated from the building’s heat losses and the difference between the standard room temperature and the minimum ambient temperature – was about 7,6 kW (25.900 Btu/hour). Since the test site was at 43° latitude, so 5° south to my home village, I suppose the climate is not extremely different or perhaps milder. Here the minimum daily ambient temperatures are about -13°C. In the past 20 years we have encountered this temperature on a single day; so this is a worst case estimate and the typical heating load in winter is much lower. Heating loads are used for comparing building standards, and the heating load is quite high given the small area. A modern insulated building with a 8 kW heating load would be 3 or 4 times larger. Those 8 kW accidentally match our theoretical load (for about 185m2 floor space) – so the size of the heat source should be comparable. I wondered how historical buildings in Iowa look like. 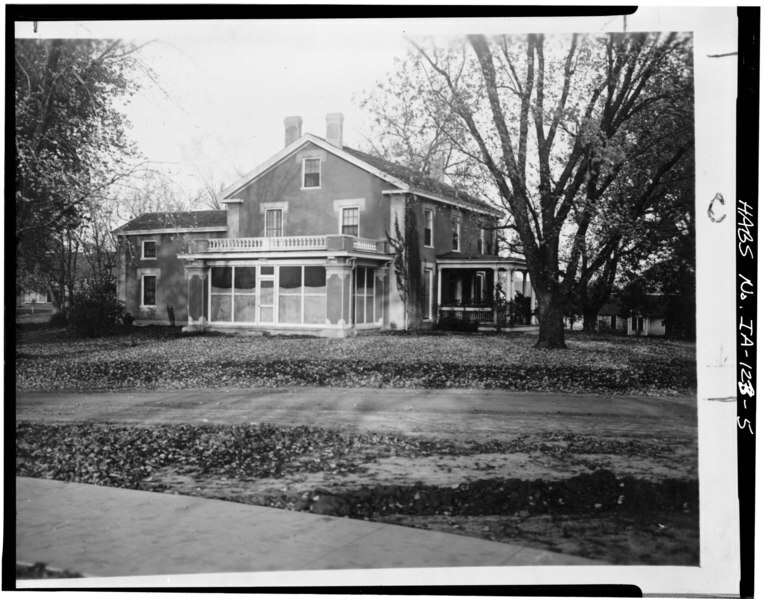 This farm house is today situated on the campus of Iowa State University (Wikimedia). The available cistern had a volume of 4200 gallons / 16m3 – this is about the right size for a house with 8 kW of heat losses. The authors state that the pilot building could be heated for 21 days, based on an heat extraction power of 9.000 Btu/hour. This is based on a heating power of a ton (3,5 kW) which is less then half of the design load. I think this is the heat load obtained from their experiment – venting the house to ambient temperature in early April. The latent heat of water is 92,7 kWh/m3 so about 1.400 kWh can be gained in total. At an worst case load of 7,6 kW and a heat pump’s coefficient of performance of 4, those 1400 kWh would be depleted after 246 hours, that is about 10 days. This is still not a bad value, and you would rather use some emergency heating system (electrical or stove) than building a bigger tank. Heat pump and heat distribution: The heating system used in this project was a water-air heat pump; the paper contains calculation of the detailed design of the ductwork. The source side of the system is similar to any other water-source heat pump. This seems to be the successor product family. Heat is transferred by a solution 20% polypropylene glycol in water, providing frost resistance for temperatures greater than -20 F (-11°C). The target side is an air ventilation system – rather uncommon in Austria as here we use mainly floor heating loops. It was planned to use the ice or cold water created in winter for cooling in summer. This is the same idea we use – it is an added value you get for free as long as you don’t cool the floor below the dew point. 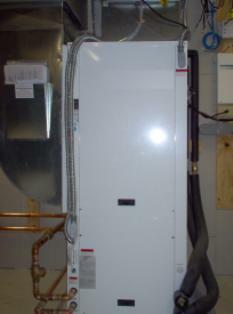 Water to Air Heat Pump – bigger than water-to-water heat pumps. Theoretical modelling of heat transfer and size of the heat source: Adams et al. have made an estimate of the heat flow from ground to their cistern. Their goal was to evaluate if an underground vessel would be sufficient as a single heat source. They also wondered if the surface area of the cistern could be compared with the surface area of typical vertical heat exchanger ground loops. They calculated the steady-state heat flow between a cylinder and the surrounding ground, taking into account the heat conductance of the materials and a assuming a constant temperature difference of 15 F (8°C). Their calculated flow is of the same order of magnitude as the heat extracted from the source in their experiments (done in April). As the authors said, this is a very rough first estimate, and calculations are tedious and involve large uncertainties. We did a numerical simulation of the dynamic change of the temperature distribution in ground, based on weather data gathered at least every hour. Calculating the dynamic heat flow from the temperature gradient at the interface between tank and ground results in a lower heat transfer – in agreement with our own experiments that now cover two full seasons. Thus ground should not be over-estimated – the power ‘released’ by ground on average is about half of the ballpark numbers used for geothermal ground loops. The pilot system described in the paper uses a cylindrical cistern – perhaps similar to modern ones, such as this (Wikimedia). Solar collector versus ground energy: Heat transfer from ground is relevant, so one must not insulate the tank. But the main contribution to the net flow to our tank originates from the solar / air collector. The tank is a buffer that bridges periods of time when the average ambient temperature is much below 0°C. Its direct contribution per interface area should not be compared to the heat exchanger loops’ surface area – it is lower than the typical heat transfer rate per area of ground harvested via ground loops (~20W/m2). The solar collector was also dismissed for economic reasons – the authors of the 1993 papers calculated a payback time of 18 years. I was not able to identify the collector based on the brand name in the paper. The 1990s have been the golden era of DIY flat plate solar collectors in Austria – the time before companies had manufactured off-the-shelf products. In 2012 Austria is worldwide no. 2 terms of installed solar collector area per inhabitants – and is in top 8 even in absolute numbers, see p.12 of this report. I had once figured flat plat collectors are cheaper than evacuated vacuum tube collectors – but the latter are actually more popular in China. This report also shows that unglazed collectors are quite popular in the US. I wonder if Adams et al. had actually evaluated the same type of ribbed pipe collector we have picked because of superior heat transfer properties, and if such collectors had been considered too expensive in the US 20 years ago. Monitoring and some adventures: The authors used a pragmatic approach I liked a lot: Do some theoretical estimates first to get a feeling for the numbers, and to evaluate the feasibility … then build a prototype and monitor it closely. 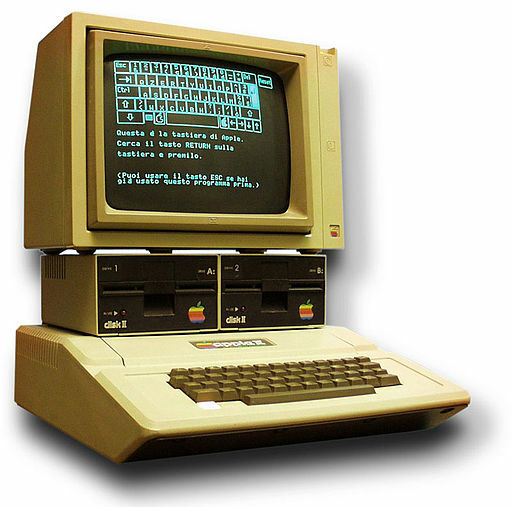 They used an Apple 2 computer for data acquisition, not so different from our first Mac SE. In some sense it is a good thing that they overestimated the contribution from ground as they might not have built the system otherwise. To add to our problems, in trying to fix temperature transducers in the tank, we had left the tank open without water too long during a wet spell, and the tank wall broke [#] in due to the pressure difference between the tank and the ground. We tried to patch it the best we could (a novel could be written on this experience), and filled it with water again. However, the tank continued to leak and we had to continue to add water to it to maintain a desired level in the tank. [#] I was surprised that wall if this cistern was just an inch thick – much thinner than modern rain water cisterns. They factored in this unplanned addition of water – adding another Basic program (I wax nostalgic about the code listings in the paper!) that evaluates the balance of heat energy. So in summary: Kudos to those pioneer engineers! If anybody reading this knows anything about follow-up projects done in Iowa in the 1990s, let met know! I haven’t researched the Iowa climate in detail. I cannot rule out that their heat source might have performed better than expected from experiments in middle Europe but I would be surprise if this cistern without a solar collector would have sustained a whole heating season. I’d finally add our own schematic drawing again for comparison. The pilot system described in the 1993 paper does not user hot water tanks, and heating of hot tap water is not covered. Our own system, built in 2012. Components also used in the experiment in 1993: Cistern as water tank, water-air-heat pumps, ductwork directly attached to it instead of buffer and hot water tank. More details in this post. [*] After a migration to a new domain in 2018 the document is not available anymore. I’ve also contacted the owners of the new site iowaeconomicdevelopment.com who have confirmed this.